The horse-riding stable that I visit is this one in Limassol. It’s a great place for a quiet day out. You can take beginners/intermediate riding lessons for adults and children, and there are also therapeutic horse-riding lessons for children and young people with physical and mental disabilities. This place also allows you to look after your horse and groom it, and they put on horse-riding trips and events to participate in. They also hire out Cinderella carriages for weddings and birthday parties – a favourite with my daughter when she was young! Actually, you can also have kids’ parties on the riding ranch, or adult ones if you like. A lot of my British friends enjoy golf here in Cyprus! I would say it’s one of the most recent hobbies in Cyprus to be introduced. The quality of the green is very well maintained, despite the lengthy hot season that Cyprus has. You can learn how to play as an absolute beginner or you can just practise your strokes and have a round of golf with your friends if you just fancy a quiet day out. Among other hobbies in Cyprus, you’ll find lots of golf courses on the island. Many are very popular among the British. The Aphrodite Hotel, Paphos, has its own golf course, but another very popular one is at Vikla Golf and Country Club set in in the scenic part of Limassol (you can pick walnuts and capers off the trees and bushes lining the road as you drive to the course). This place is so breathtaking in the winter months, and you really do get back to nature. Here you can learn to play, or play a round with your friends for a great day out. After your game of golf there is a well-stocked bar including creamy hot chocolate, coffees for you to enjoy with your friends or family. You will find one or two of these in each of the main towns. There are many different amusements like carousels, Waltzers etc. for children. Of, if you want some peace you can have a quiet coffee in the café there and read a book until lunchtime, when you can enjoy a wonderful Cypriot lunch! You can combine this with a pleasurable walk along the promenade along the seafront. And you can call into a bookshop on your way to buy a new book or magazines like Hello magazine, Vogue, Good Housekeeping, Cosmopolitan etc. like you can find in the U.K. Your viewing trip is a fantastic opportunity to focus on narrowing down our property hunt. Make sure you’re fully prepped with your free Viewing Trip Guide. 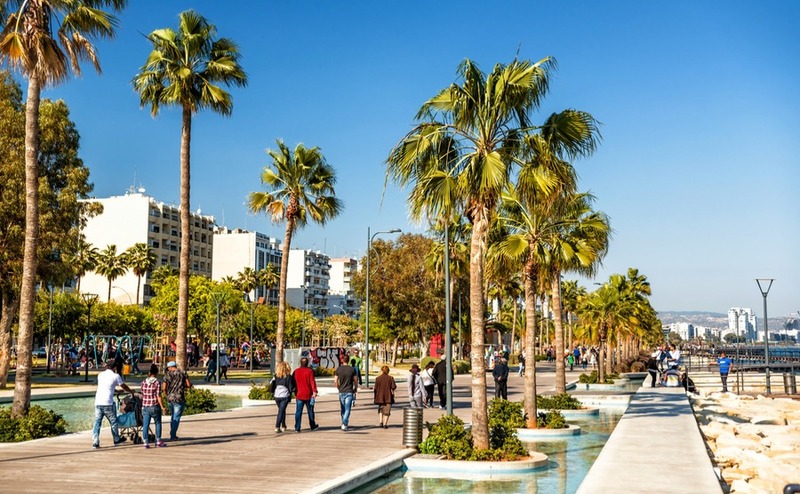 In the winter months I like to take my magazine/book and go to the Marina here in Limassol. My favourite café there is Caffè Nero! I buy my cappuccino and something sweet to eat and sit outside under the winter sun watching the sailing boats and Cypriot life. Cyprus also has Starbucks, MacDonald’s and Costa Coffee island-wide, so if you prefer their coffee you have the choice. You can do the same in the other main towns. 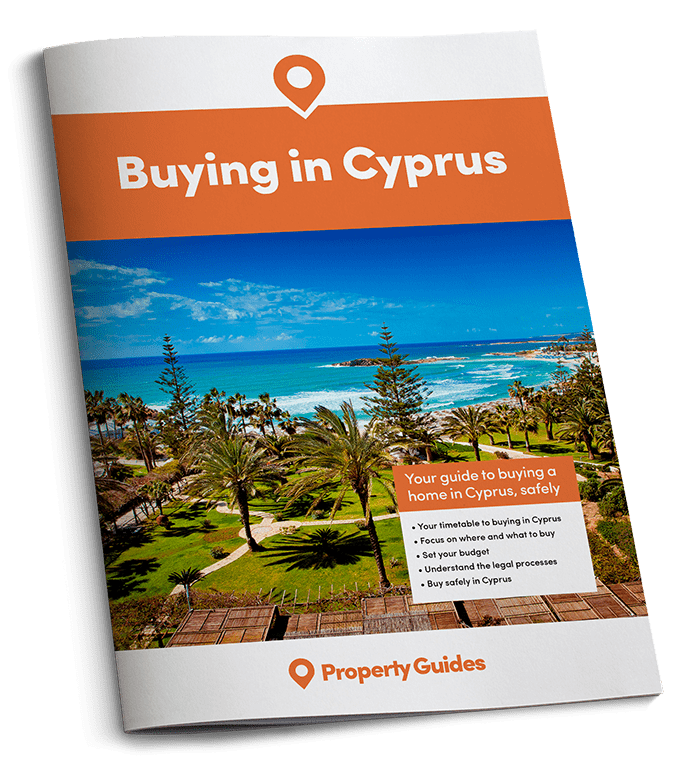 For example, in Paphos you can sit in a harbour café with a view of the historic castle, and there is the newly built Marina in Larnaca, too. If, like me, you enjoy seeing films at the cinemas, then you will find at least two cinemas in each of the main towns. The biggest cinema has five screens, and the smallest one has three. When I first came to Cyprus, there was only one cinema in Limassol – which I called “the hole in the wall”. It was literally like a tunnel, and you couldn’t see the newest films for at least two months after they were released! Now, it’s completely different. The cinemas have all the latest films, usually a week after you can find them in the U.K., and they are fully equipped. When I first came to Cyprus, there was only one cinema in Limassol – which I called “the hole in the wall”. Now, things are very different! They’re comfortable too, with all the latest developments like 3D viewing. There are also modern theatres, with local arts productions and performances. If you like music, modern and classical performances, the theatres are brilliant for these, with great acoustics (like the cinemas too). Plus, you can see ballet and Italian opera performances and musicals. You can find other European influences such as Italy, as an alternative to Greek music/arts, that have been encouraged in Cyprus since Paphos became the European City of Culture. Of course, Greek singers and theatre are always around. Don’t be put off listening to modern and traditional Greek singers because you think you won’t understand it – the rhythms and sheer depth of voice obliterate that problem – great for a winter’s afternoon/evening entertainment! There are many creative hobbies in Cyprus you can do. These are things like learning origami, flower arranging, sketching, and drawing. You can go to learn these on a regular basis. Or, if you like to keep healthy, you can go to yoga or aerobic classes per week and meet new people too. I do yoga here, and there are many different forms available to try. You can find aerobic and step classes in the gyms, as well as general workout sessions – the gyms are very well equipped with the latest fitness equipment. You can even learn new dance moves, and Zumba classes are very popular! And of course, you can also learn languages like conversational Greek! So, as you can see, Cyprus is not just a place for the sea, hot sun, and sandy beaches. It also has some quieter pleasures too. For me, I use this time to recharge myself after the long hot, summer months (and to get rid of unwanted kilos that I’ve added from the ice creams of the summer!) Then, I feel ready and prepared for the hot and busy summer days once more with my family and friends.